Miller & Martin announces attorneys Jenna Fullerton and Stephanie Savage have joined the firm as associates in the Chattanooga office. 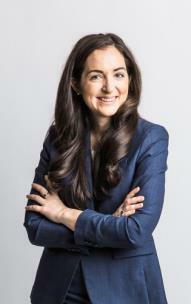 Ms. Fullerton focuses her practice on commercial litigation and white-collar criminal defense. 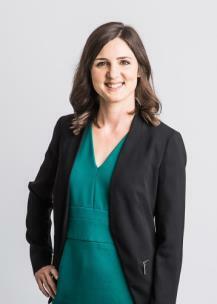 She has experience with complex litigation matters, contract disputes and negligence torts. Prior to joining Miller & Martin, Ms. Fullerton served a two-year term as a law clerk for the Honorable Travis R. McDonough in the U.S. District Court for the Eastern District of Tennessee. Ms. Fullerton holds a J.D. from Vanderbilt Law School where she served as the managing editor of the Vanderbilt Law Review and graduated as a member of the Order of the Coif. A native of Austin, Tx., she graduated with highest honors as a double major in political science and philosophy from the University of Texas at Austin. She is licensed in Tennessee and Illinois. Ms. Savage focuses her practice on emerging and startup companies, mergers and acquisitions and a variety of other general corporate and transactional matters. As part of her practice with emerging business, Ms. Savage counsels entrepreneurs and emerging companies on entity choice and formation, contracts, investment, brand protection and other business matters. She also combines her business experience with healthcare by counseling clients on a variety of transactional, compliance and privacy related matters. Ms. Savage holds a J.D. from Emory University School of Law, along with a Transactional Law & Skills Certificate. She graduated as a double major in English and government from Franklin & Marshall College. She is licensed in Tennessee and Georgia.